Today I’m going to talk about how you can get started in the affiliate marketing world for little money or even without spending a dime. I know that many people who are searching for legit ways to earn a living online are on a low budget and can’t afford to spend thousands of dollars just to get started. The good news is that starting a digital business is not as expensive as starting a brick and mortar business, and thanks to business models like affiliate marketing it’s possible to start for $0. There are many business models you can choose to start a business, but I’ve decided to focus on affiliate marketing because I believe it’s the best option for people who are on a tight budget. 1 Why an affiliate marketing business? 2 What do you need to start an affiliate marketing business? 3 Where to start an affiliate marketing business? Why an affiliate marketing business? Well, first of all, a definition of affiliate marketing would be “a situation where a vendor/company pays a commission to a publisher/advertiser for a sale the second one has made”. So why have I chosen affiliate marketing instead of another business model like network marketing? It’s beneficial for everybody involved. The vendor is happy because their product has been sold, you (the affiliate marketer) have earned a commission off the sale you’ve made and the purchaser/customer has got a product that meets their needs. You don’t have to create your own product. You’re going to market other people’s products so you won’t have to worry about spending money or time on creating your own. You can market any kind of product. You are free to choose the product you want to sell, even though I recommend that you market products you already use or like. You can make passive/residual income. You can market a product once and make lots of sales, so you don’t always need to be present in order to earn money. 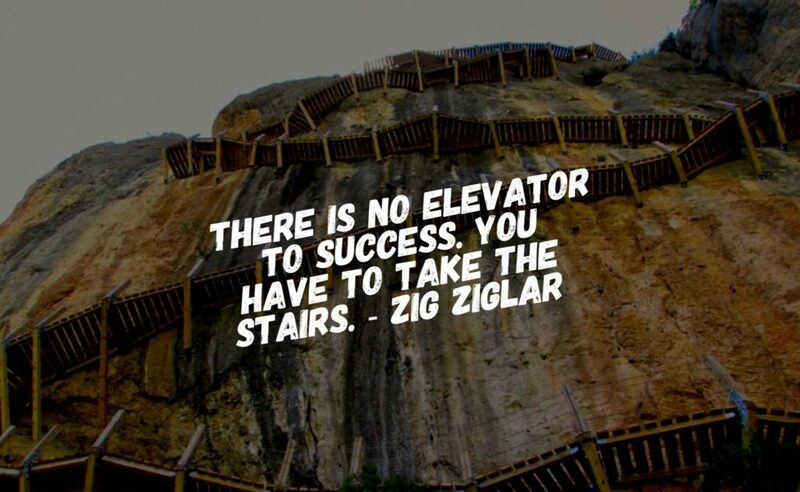 This will only happen if you put in the work, not when you’re starting out. You can earn a full time income. This is similar to the previous one, it won’t occur overnight. If you work hard, there will come a point where you make enough sales and get to earn the kind of income that replaces your 9 to 5 salary. You can sign up to affiliate programs/networks for free. There are a lot of companies that offer affiliate programs and affiliate networks that can be joined for free. After all, why would they make you pay if you’re willing to help them make sales? Affiliate marketing plainly works because people are always looking for answers to their questions. 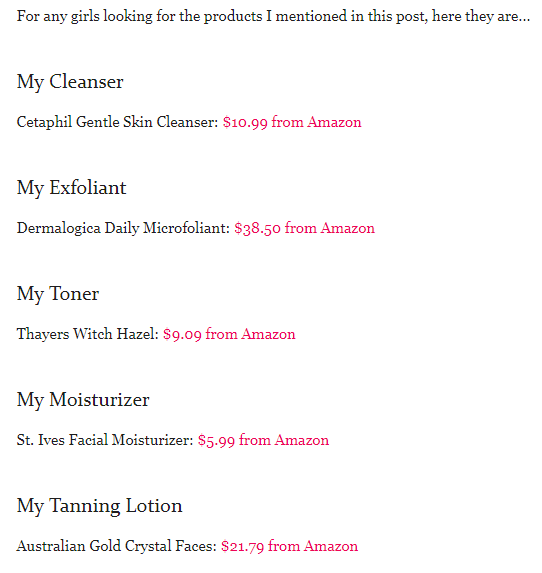 If you click on any of those links (affiliate links) to check out the products, you’ll be taken to Amazon. 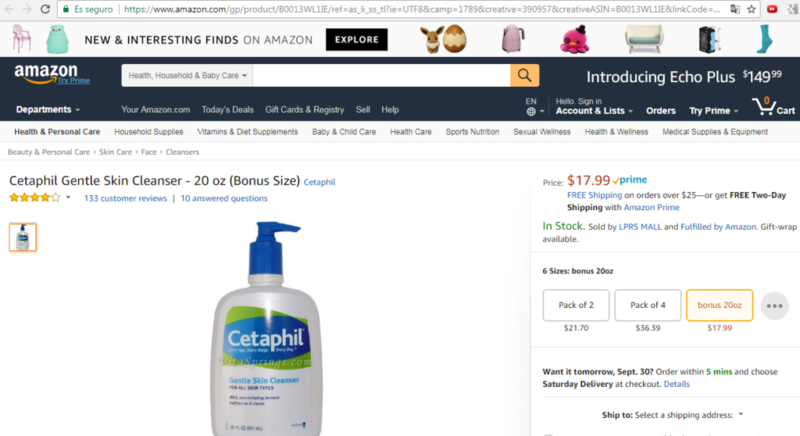 If you take a look at the search bar, you can see the affiliate link. Therefore, if you purchase this cleanser, the person who has written that article will earn a commission. Imagine how much money they make if a lot of people click on that article and end up purchasing some of the recommended products. Can you see the potential of an affiliate marketing business? 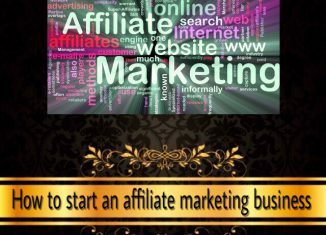 What do you need to start an affiliate marketing business? I’ve seen many unethical marketers use black hat techniques to earn a quick buck. Most people who make use of these tactics are scam artists and unscrupulous people who don’t care about other people and are only concerned about their own benefit. This may work in the short term but they eventually get banned by search engines and can even get prosecuted by the authorities. Trust me, those fraudulent tactics are no good if your goal is to build a business that’s profitable in the long term. A niche. What do you love to do or what are your hobbies/passions? It can be anything like sports, personal growth, healthcare, beauty, traveling, music… It’s up to you. I recommend that you take your time to choose a niche, this is a very important factor that determines what you’ll be doing and offering. A website. You’ll need to build a website to use it as a platform to talk about anything related to the niche you’ve chosen, speak your mind about certain topics, give tips and advice to help people… Building a website no longer requires you to have coding skills or be a computer geek, it can be done in a few minutes. Products/services. Think about products or services relevant to your niche. Then you’ll join affiliate programs or networks that let you market these products. You’ll get affiliate links that you can post on your website along with the valuable content and information you provide. Traffic to your site. Without people there’s no business, that’s why it’s important that your site has visitors. The more traffic your site has, the more sales you’ll make. Getting traffic to your site is something that takes time and will depend on the content you provide and the keywords you use for that content. You can also try PPC (Pay-Per-Click) to get traffic, but I don’t recommend it if you’re on a tight budget. A computer or another electronic device. I suppose you already have one, you wouldn’t be reading this otherwise lol. An Internet connection. Same as before, anything “online” requires an Internet connection. Patience. Success won’t happen overnight, so you’ll need to be patient and have faith that it will work out. Hard work. It’s essential that you put in the necessary effort on a daily basis, nothing great is built with little to no work. Training & education. In a rapidly changing world, you’ll need to keep on learning and educating yourself, what worked yesterday may not work tomorrow. Time & money. Building a successful business takes lots of time, just like anything worth having in life. You can get started for free but it will come a point where you’ll need to make a little investment, for example in your website domain, hosting, security, email marketing, training and education and other business tools. It’s all up to you and your current situation. Where to start an affiliate marketing business? The best platform where you can start and grow an affiliate marketing business is Wealthy Affiliate, since it includes a lot of training, courses and business tools that will help you start your affiliate marketing business from scratch and take it to the next level. These classrooms contain questions and answers, tutorials, video trainings and courses regarding the topics I’ve mentioned before. This platform also offers live video classes that take place every Friday. These webinars last an hour more or less and they get recorded so no worries if you miss out, you can watch them whenever you want! They have been doing these live trainings for 5 years now so there are over 250 past webinars already. Members can also create their own trainings and video tutorials as well as ask questions or write mini blogs. This is great because they share their experience, tips and even their successes, so you can learn a lot from them. SiteRubix platform. This includes a website builder, site manager to manage your websites and keep track of their health, hosting & security, site support to get technical support for your website/s, site comments to offer and receive comments, site content to write articles for your site, site domains to find and purchase domains, site feedback to give and receive feedback for your site/s, site email to create and manage email accounts. Keyword tool that enables you to search and find the best keywords for your content, and save them. Live chat to interact with other members. This is a great tool to ask quick questions and get quick answers. Online Entrepreneur Certification course. This is the course that will help you get started if you join. You’ll be guided step-by-step from choosing a niche to attracting visitors to your site and making money. Affiliate Bootcamp course. This course will teach you to build a website to promote Wealthy Affiliate. One of the things I love about Wealthy Affiliate are the supportive community members and owners. Whenever you have questions or issues, there’s always someone who’s willing to help you out. I’ve personally always had my questions answered! Another thing is the fact that the founders of this platform, Kyle and Carson, are always updating and improving the platform, as well as adding new features and tools. They’ve been doing this for 12 years already and the fact that they’ve never increased the membership costs says a lot about how much they care about the community members. Wealthy Affiliate is really free to join because you have no obligation to upgrade and they don’t even ask for your credit card information. They offer a free membership that includes two free websites along with free hosting, free support, 20 lessons and more training from 3 classrooms to get started. When you join, I and other members will welcome you to the community help you get started. I hope this article has been helpful to you and you have enough information to make the decision that best suits your needs. Don’t hesitate to share this post with whoever you think that may benefit from it. Is Crypto Wealth a scam software? Yes, see why! Is The Quantum Code a scam? Yup, a big scam! Having just left a network marketing company, I am ready to venture into affiliate marketing to create my second source of income. But the whole process has been a bit intimidating because there are so many jargon that I am unfamiliar with. There is also an influx of information coming from various sources and it can be pretty confusing sometimes. What makes the training at Wealthy Affiliate different from others? How much does it cost for the entire program? I was also in a network marketing company a while ago and end up quitting because I didn’t like their compensation plan. Affiliate marketing is easier to understand and most affiliate programs offer compensation plans that are fairer in comparison to MLM companies compensation plans. I know there’s a lot of information around the net, which can result overwhelming and confusing. The training at Wealthy Affiliate is very well structured, it has task-based lessons, which makes it easy to know where to start and what to do next, so it’s difficult to get lost. And the fact that you get your questions answered and tips & advice from successful members make it worth it. The program offers two memberships: the starter/free membership and the premium membership. You can join for free without giving your credit card information and see if you like it. The premium membership is optional and it costs $49 per month ($19 the first month) or $359 per year. Here you can read more about it. Great post! I really liked your list of the benefits of affiliate marketing. Compared to network marketing it is way more beneficial for everyone involved. Plus, you don’t have to recruit anyone. And, like you explained, it’s free to get started. I’ve been in affiliate marketing for a few months now and still have a lot to learn, but it has been the best opportunity I’ve tried so far. Like you said, it takes a lot of patience and hard work. Most people will quit because they don’t get the results as fast as they expected, but affiliate marketing takes time to get a following and start earning money. Thank you for this helpful information! Thanks for your comment, Weston! I know there are people who end up giving up because they don’t get positive results when they expect, but if you persist in the end it will be worth it. I’m not sure what you mean. I don’t know anyone who lives in Perth Western Australia. TeenMoney review – Is TeensPaidMoney.com a scam? Is Automated Daily Income a scam? Honest review!